Separate entrances make one home feel like two homes. They provide each family generation with privacy when entering and leaving the house, so the other family members are not disturbed by their work schedule or social activities. Separate entrances make a multi-generational home feel similar to a duplex, except there is usually a connecting door inside between the two living areas that can be opened if needed. want to move in an adult child who may be just out of college, looking for a job, or newly married, as well as an aging parent who prefers the idea of aging in place rather than going into a nursing home. Dual master suites with one up and one down also work well for blended households where families need a little more privacy. One of our most recent projects offers a master suite that includes a morning coffee bar for ultimate convenience. Multi-generational households become much more functional with two kitchens. Whether the home is designed with two distinct living quarters or one main living area and an in-law suite, a second kitchen will make each space more functional and more private. Although a second kitchen may increase the design costs by $10,000 to $15,000, it will give each family their own private space to prepare food and enjoy family meals together. Second kitchens are ideal for blended families with elderly adults who prefer quiet dinners and small children who get a little rowdy at the dinner table. In many smaller homes designed for multi-generational living, a finished basement provides a great private living space for kids who move back home or adult siblings who may need extra care. 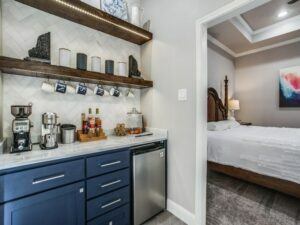 Many homes are showing finished basements with a bedroom and bath, as well as a media room, recreation room, exercise room, and built-in bar. In many planned communities with multi-generational housing, finished basements are one of the most popular design options. Creating a functional living space above the garage will provide complete privacy for other family members. With a private staircase and entry, occupants can come and go as they please without disrupting the rest of the family. Split garages can also provide good opportunities for private living space. Typically, a three-car garage is divided into two bays on one side of an entry courtyard and one bay on the other side. The one-car garage can be designed with a private entrance, a bedroom and bath, and a kitchenette which would work well as an in-law suite for an elderly parent who prefers aging in place. When three or more generations live under one roof, private spaces for each generation provide the most functional living areas and optimal privacy. These designs work especially well when young adults with small children live with older parents and grandparents who require more quiet time and privacy. For elderly grandparents who are aging in place, loud noises and daily disruptions can create anxiety and sleeping problems which may impact other health issues. Having zoned living spaces with separate entrances for different family members can be a big plus. In addition to privacy, this type of design offers a homeowner the possibility of a space that’s isolated from the rest of the house. For aging adults or younger adults this living arrangement allows them to maintain independence and privacy, but still have support when needed. In larger multi-generational housing floor plans, two-story additions might include an 800 square-foot living area with a one-car garage and a small private yard. 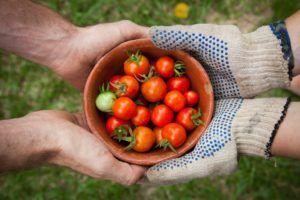 Multi-generational living is basically a home within a home, and it presents an array of benefits to household members. You get to share the comfort of your home with loved ones while also sharing financial and logistical benefits. Family members can cut costs on household expenses, put more money in savings, and share in special family moments that will be remembered for a lifetime. A Shared Mortgage – With one shared mortgage, there is no need to pay a secondary rent or elderly housing costs. The actual homeowner, as well as other family members, will save money on housing costs. Shared Utilities – Multi-generational housing provides two or three separate living spaces, but only one utility bill. Family members can divide up the bill as they see fit to accommodate everyone’s financial needs. , painting, plumbing repairs, and a new roof can be significant savings when maintenance costs are shared. Flexibility – Multi-generational floor plans can be designed to easily accommodate your changing needs and lifestyle. Creating a flexible space whether it includes a garage space for your son, a home office for you, or a separate living area for Grandma. If living arrangements change, spaces can be used for other purposes. Fewer Travel Expenses – When multiple family generations live together, travel and transportation expenses decrease. There’s no need to spend hundreds of dollars on a plane trip to visit your parents or grandparents when they’re living right next door. Higher Resale Value – According to demographic trends, multi-generational housing is something that many buyers are looking for today. Many home buyers are thinking about the conveniences and savings that living under one roof provides. For millennial buyers with aging parents, these home designs provide a perfect solution for aging in place healthcare. Although it’s impossible to predict exactly what houses of the future will look like, many remodelers, builders and homeowners are extremely interested in the growth of multi-generational living requirements. With an uncertain economy and rising housing costs, multiple family generations living under one roof makes a lot of sense. What better way to stay close to family and possibly cut down on housing expenses at the same time? At DFW Improved, we have seen a growing trend in Texas and other states across the country for multi-generational living. The idea of communal living and keeping the family together seems to have growing appeal for homeowners of all ages. Younger home buyers are motivated by ways to save on housing costs, while middle-aged and older buyers are intrigued with the family benefits of aging-in-place. A variety of age groups are enthusiastic about staying close to family members and the mutual benefits of having family support. Young people no longer feel a sense of shame by returning home to live with their parents. Parents want to spend more time with their children, and grandparents want the opportunity to watch their grandchildren grow up. 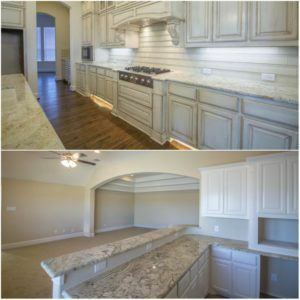 As one of the leading home remodelers and builders in the North Dallas and Collin County areas, DFW Improved sees a big future for multi-generational spaces. They offer privacy for separate families, state-of-the-art amenities, financial savings, and a shared lifestyle with generations of loved ones. What more could you want in a home? Whether you’re interested in remodeling your current home to accommodate your family, talk to one of our designers. We can help you create a functional multi-generational living environment that fits your design taste, your lifestyle, your family needs, and your budget. Are you ready to create a living environment for multiple generations of your family? Ask to speak with one of our CAPS-certified home remodeling specialists today! 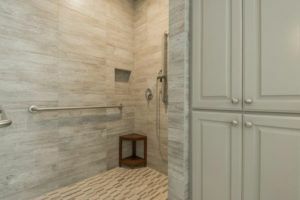 To get inspired by home remodeling ideas and pictures of our most recent projects, visit our Photo Gallery or connect with us on Pinterest, Facebook, or YouTube to learn more.